The most recent update to Animal Crossing Pocket Camp adds a feature that’s been promised since the game’s launch: clothes crafting. 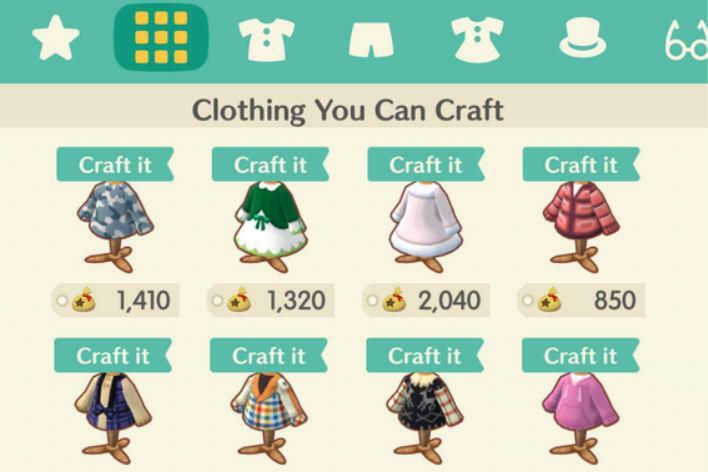 Dozens of clothing items are now available via crafting only, and many of the options are very cute. Crafting clothing is simple. All you have to do is hit the “Craft” button on the lower menu, then hit the Clothing icon. You can view all craftable clothes at once, or filter clothes by type by selecting the appropriate icon. 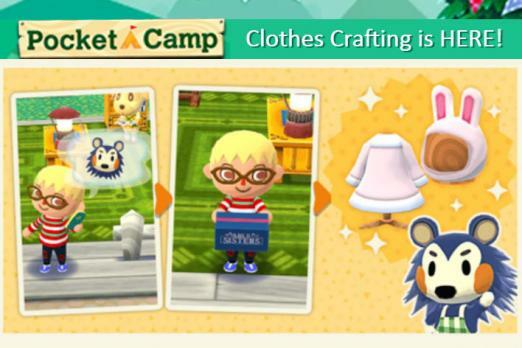 You’d better start cozying up to all the villagers who give out paper and cotton, because you’ll need a lot of both in order to take advantage of all these new clothes. Pocket Camp will also introduce new Trial challenges that reward you with Leaf Tickets and paper for crafting clothes, if you’re not too distracted by Rover’s Garden Safari. But here’s one thing that gets me about the clothes. Each piece of clothing has a style assigned to it, even though nothing in the game so far asks for clothing with certain styles. Does that mean a feature will come one day that asks us to put together outfits of certain styles? I hope so. What do you think? Feel free to let us know in the comments section below.